“…Our church community was going through a really dark season dealing with loss, depression, shame, anxiety, etc. Those of us in the midst of the struggle felt compelled to write an anthem for our community that would be our reminder that Jesus had simply invited us to walk with Him and each other through it all. We saw the healing that Jesus brought our community through this song and wanted to share it with the world. With the unending love and nearness of Jesus, there’s always ‘hope on the horizon.’ Let’s shout out the anthem that our souls have been longing to sing, ‘I BELONG!’…” Tim Timmons is a walking miracle. Told by doctors in 2001 that he’d never live past 5 years later, Tim is continuing to beat the odds of cancer as he releases albums that glorify God and praise His name. Having already released three albums (Cast My Cares, Awake Our Souls and Who I Am in 2013, 2015 and 2017 respectively), Tim is back with a brand new pop/worship single- a duet with Amy Grant called “I Belong”. While there have been a glut of new singles in 2018, how does this song stack, up against the hundreds we’ve heard recently? I reckon there hasn’t been a singer/songwriter that I have heard that much vulnerability and honesty for a long time. Maybe since Jason Gray and his album Where The Light Gets In in 2016. And that’s a good thing- it shows us how great a communicator and singer Tim is- as he fervently reiterates that we belong to the Kingdom of God wherever He is present (which is everywhere!). Regardless of whether we are loved by our parents and friends, and regardless of whether we think we’re worthy of belonging to anyone and to any group; Jesus opens up His arms and tells us that we are already His. What a freeing notion, and one that is sure to inspire and give us hope about this life, as we navigate this tricky road called the Christian life. Led by stirring keys and swelling guitars, a mid tempo worship anthem is what is delivered here- kudos to Tim for presenting catchy yet reflective melody, and one that will be on the hearts and lips of listeners for months and years to come. “On your worst day, do you feel like you really belong? Belonging is one of the few basic human needs. When we know who and Who’s we are, and live like our identity is secure in Jesus (even on our worst day), then our whole outlook on life changes. 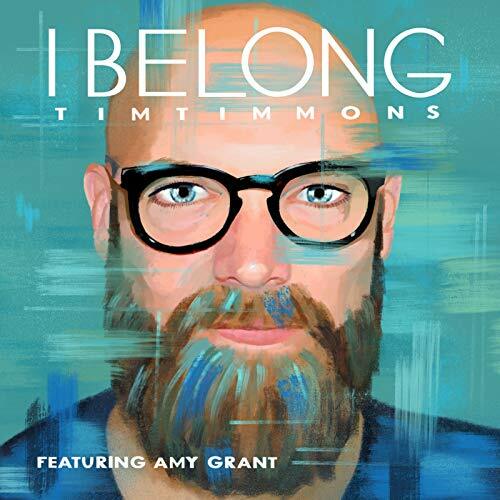 This is one of Jesus’ main invitations to the sinner, made saint, that we belong no matter what!” Tim Timmons’ brand new single “I Belong” is quite a breath of fresh air just as his previous albums. With the song’s overarching theme being that no matter what we have done we still belong with Jesus because He has already saved us from sin, hell and the grave; we can rest in the promise and the hope that we are sons and daughters of God and nothing can separate us from Him and His love. Fans of artists like Meredith Andrews, Crowder, Jason Gray, Josh Wilson, Tenth Avenue North and All Sons and Daughters will thoroughly enjoy “I Belong”. Dropping on the same date as albums from artists like Aaron Boyd, Ellie Holcomb and Carrollton, Tim’s new offering is just as enjoyable, as his songs previous. Well done Tim for such an enthusiastic track, and one of my favourites within the latter half of 2018!